As a Rangers fan, it was not easy to swallow the fact that we NEEDED a rebuild as we’re consistently a playoff team year after year. But the Blueshirts were a mess, and it was time to blow it all up. Over the past week, New York dealt solid role players in Nick Holden and J.T. Miller, and stars in Mike Grabner, Rick Nash and captain Ryan McDonagh to kickstart their rebuild for the future. When you looked at the roster before the trades, the Rangers seemed like a solid enough playoff team to make the postseason. But that’s the problem. Excluding a Cup run in 2013/14, the Rangers have been just “good enough” to slide by year after year into the dance, and compete behind their veterans – but no progress was ever made. This year was the same story, but after a few key injuries to players like Kevin Shattenkirk and Chris Kreider, the team knew it was time to push the reset button. The reoccurring theme about the Rangers teams of the past 7-8 years is a team built around a ton of solid veterans who bust their butts off every game, but never a legitimate star who could step up in the clutch. The Rangers look like their trying to change that theme now, and have finally ignored most their impatient, unknowledgable fans in the process. Now following the trades, the Blueshirts have 3 (potentially 4 if Tampa wins the Cup) first round selections and 3 second round selections (at most) in a stacked 2018 class. Additionally, the Rangers acquired several solid prospects to accompany their new rookies, and 2017 first round picks. It’s a huge jump back and process for NY, but it’s also a case where a team takes a step back to take two forward. Another thing the Rangers must do is fire HC Alain Vigneault after several uninspiring seasons at the Garden. He’s inconsistent and very non vocal as well which makes him arguably the biggest liability on this team. What’s your thoughts? 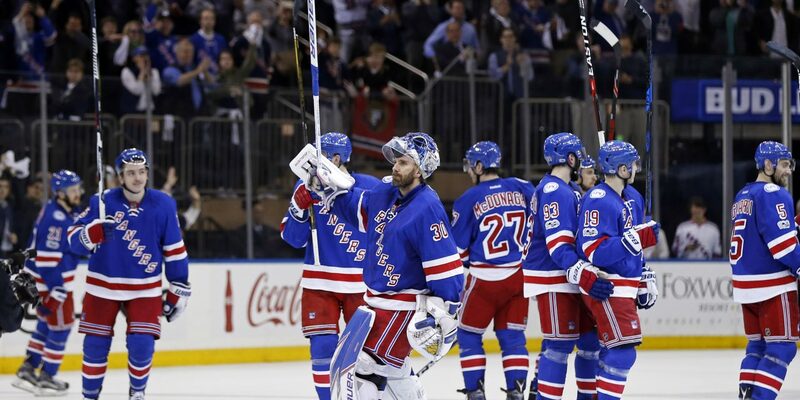 Should the Rangers have blown this up, or should they have kept their core?